the Entertainment beat Hollywood airs Friday & Saturday nights on CaribVision Cable in the Caribbean, USA (tri-state area) & Canada. SEASON 2 CLIPS | WATCH MORE THIS SPRING - FRIDAY NIGHT AT 8 PM PST. The hottest Caribbean television show on the planet - the Entertainment beat Hollywood, made its historic TV debut two years ago. 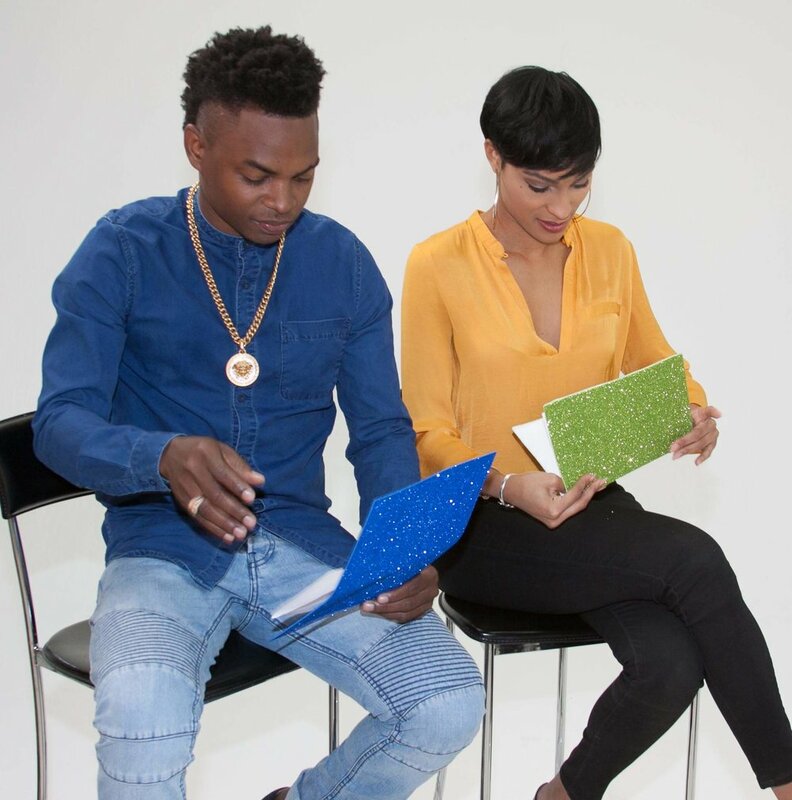 The myKEEtv original show is the first LA/Hollywood-based Caribbean TV program of its kind to hit TV screens across the globe. The show premiered on television in the Caribbean as well as parts of the USA, UK and Canadian markets. Hosted by a team of prominent entertainers, the show features trending entertainment news, celebrity interviews, red carpet coverage, live performances, a Caribbean dance party and engaging moments with a live audience. In studio or on location, the show produces blazing hot Caribbean entertainment with Los Angeles flair. The show will return for its new season in more than 20 market across the globe. Entertainer extraordinaire, Christopher Foster is host of the Entertainment beat Hollywood. The multitalented international artiste has been charming audiences for almost two decades. He dominated the entertainment scene in the Caribbean and has toured the USA – entertaining in cities such as Las Vegas, Los Angeles and Chicago. His versatility as an artiste is unmatched; he is a host, dancer, singer, disc jockey, talent manager & more. As a former host of Tom Joyner’s Fantastic Voyage cruise, Foster has introduced celebrated names like Patti LaBelle, LL Cool J and Bobby Brown. He spent four years as host of the cruise for American radio talk show host, Tom Joyner. 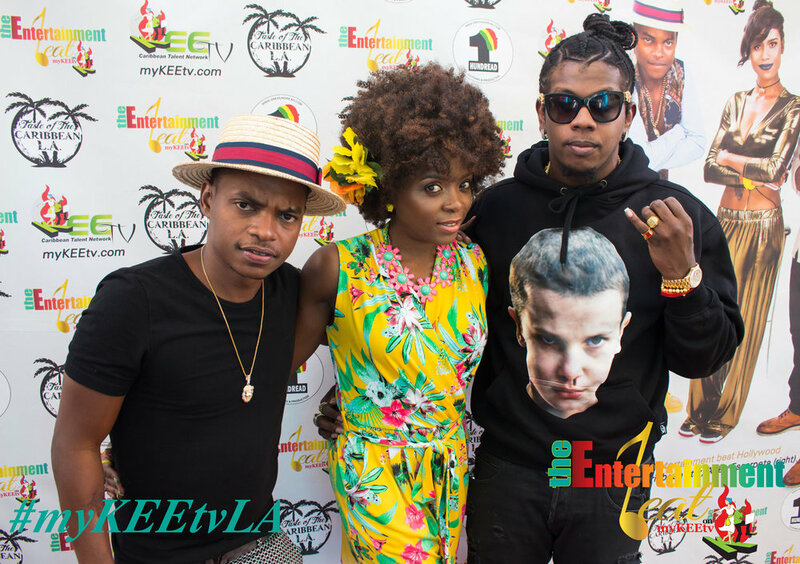 Rapper Trinidad James (right) with Chris Foster (host) & Racquel Marshall, resident drummer on the Entertainment beat Hollywood. The rapper and show’s cast are at the red carpet launch of the Entertainment beat Hollywood. The event was held recently at Taste of the Caribbean Restaurant in Hollywood, California. On the set of the Entertainment beat Hollywood, the show’s host Chris Foster and guest co-host, former Miss Universe US Virgin Islands, Janeisha John.